Everything we build, everything we touch is quality. Aladdin doesn't put its name on anything else. Global development, energy & infrastructure projects over the last 40 years have focused exclusively on scalar social, environmental and financial ROI’s for such countries as Nigeria. Residential, commercial, and industrial projects have fueled 50 years of portfolio assets that have served financial and community goals exceptionally. Aladdin Developers, Inc. commercial and industrial buildings cover the spectrum from residential to government housing developments, from tropical hotels to urban freeways, and from strip malls to oil & gas projects. Ensuring each investment and project sets a new standard for excellence has become an Aladdin Developers hallmark. Founded in 1961 by Anthony V. Zehenni after his tenure at Litton Industries directing their Real Estate division, Aladdin Developers, Inc. focused initially on high-end custom homes and large scale above-market quality housing tract development. Several successful projects later in 1966, Aladdin Developers forayed into industrial and commercial development. 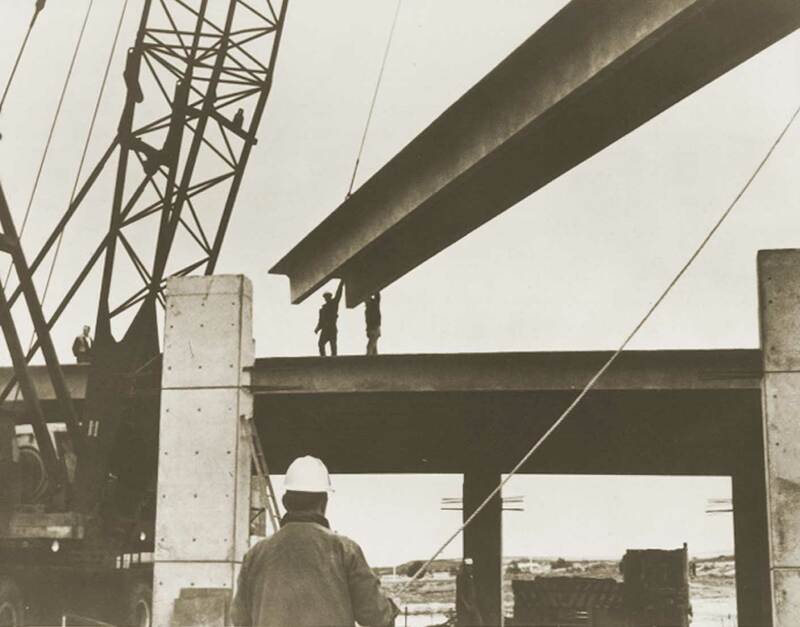 Successes quickly expanded operations into civil engineering and retail markets, with the achievement of just over $400 million in development by early 1975. As Aladdin’s reputation for quality and timely project success grew, so did the need for a properly managed investment arm. After several notable hotel and high-rise projects, 1977 saw the key advancement of various subsidiary corporations into oil, gas, geo-thermal, automotive, and aerospace. Concurrently, global development initiatives & investments provided myriad opportunities for growth and portfolio expansion, adding to the overall progress of Aladdin Developers. 1982 proved a crucial year in numerous ways, ultimately leading to the consolidation of existing investments, development projects, and assets into a marquee portfolio. Late 1989, continued the trend with expanded investments in new markets and more interesting one’s in existing markets. 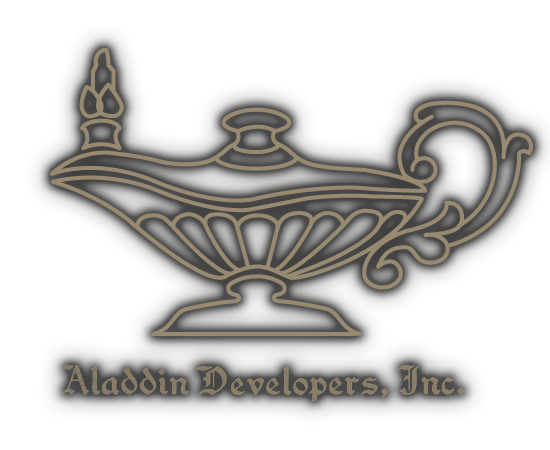 By the mid 1990’s, Aladdin Developers had achieved a landmark portfolio, solid global expertise, and gross development revenues of note. This foundation provides the fulcrum that today’s investments and projects stem from. Today, Aladdin Developers and subsidiary investments focus in several key markets, both domestic and global, while providing the avenues into telecommunications, commercial software, and entertainment. Forty eight years later, Anthony V. Zehenni’s vision for excellence, integrity, and a diverse business footprint has been achieved. By focusing on core competencies, leveraging unique expertise, and always minding externalities impact on the environment, Aladdin Developers stands poised for the next millennium of contributions and opportunities. Vision – to build a premiere development & investment company focused on opportunities and projects that add tangible value to the global community. Partners & Customers will discover we are integral to quality, tangible results and financial success. Individuals, Communities and Governments will find our dedication to proper uses of resources, adherence to local needs, and quality of life improvements unwavering. Our reputation will remain unimpeachable in delivering what we promise, when we promise, how we promise. Values – four decades of commitment & results provides the foundation we will continue to build on into the next millennium, expanding the scope and benefits we provide the world we serve. Reputation is an unimpeachable asset, integrity a necessary element. Fair value is a required element in all dealings. Sustainability of all projects & investments is key to both our partners and ourselves. Respect and safety for our employees and strategic partners. Responsible progress and protection of our remaining environmental assets. Ethics – Aladdin’s culture is grounded in integrity and respect. This means adhering to the highest standards of ethical business culture. Our reputation for adhering to these standards is one of our most valuable assets. We stand by everything we do. Aladdin does not tolerate behavior that is not fair and ethical, and all employees are required to comply with these standards and with applicable local, state, federal, and in-country laws at all times. For over five decades, Aladdin Developers has been synonymous with two words: Quality & Service. From multi-million dollar mansions in California to roads and bridges in Nigeria, Aladdin Developers has maximized earnings by guaranteeing quality construction, effective management, and investment sustainability. Aladdin Developers is a corporation whose activities cover the spectrum from residential to government housing developments, from tropical hotels to urban freeways, and from strip malls to oil and gas projects. Ensuring each investment and project sets a new standard for excellence has become a hallmark of Aladdin Developers. Since its inception in 1961, Aladdin Developers has thrived by anticipating trends and by creating markets where none existed. Sensing the emerging land rush to Southern California, Aladdin started building apartments and low income housing, then moved on to upscale communities such as Westlake Village where it created 300 exclusive single family homes. In the late 60s, Aladdin Developers was building luxury hotels in Hawaii, nearly a decade before the boom in island real estate. From its headquarters on the fabled Sunset Strip, Aladdin Developers manages the properties in creates; it’s the best way to ensure that quality construction endures and investments are maximized. Simultaneously, Aladdin Developers was opening Nigeria to American investment by delivering infrastructure to the Nigerian government in the forms of roads, bridges and homes for civil servants. In turn, careful planning, engineering and development created a solid foundation for the limitless growth that ensued in this emerging African nation. Domestically, infrastructure projects and investments included freeways in Southern California and the ports of San Pedro, one of America’s busiest seaports. These, and other, projects have continued to set the standards of excellence above industry norms with lifespans that have withstood tremendous use, all earthquakes to date, and done so with virtually no retrofitting. Hospitals, homes, resorts, infrastructure, technology, oil and gas: Whatever can be dreamed, Aladdin Developers will create from it’s its twin building blocks: Quality + Service. An adherence to our core competencies and strengths, has enabled us to remain successful while maintaining both quality and service. Aladdin Developer’s investments and investment opportunities range from land development to the technology sector. Globally focused opportunities maintain a priority, while domestic projects and businesses fulfill the majority of our more routine portfolio holdings and offerings. © 2019 Aladdin Developers, Inc. - All Rights Reserved.